If you want to join in the fun with the only original music quiz of the week in Herts on a Thursday night then come along to find out as to why the local press voted us the best in Hertfordshire and teams from other local quizzes are now coming to the Plough and Harrow. Now in its 19th year at the same venue, and there is a weekly prediction pot (which is currently at £30) and if I’m right, the team I predict can win up to £50. If not, you can still win a drinks voucher. Come along to find out what that’s all about. It all starts at 9.00pm and costs just £3.00 per person to enter. There is also an album prediction which goes up by £5 a week and that can go up to £200. Next week the jackpot is £120. 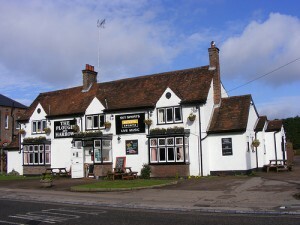 To visit the pub website click here. To see a full list of all past featured artists click here.